Hers is the most famous smile in the world, visited and studied by thousands every year, a priceless work of art —the one and only Mona Lisa. Or is it unique? With its striking similarities to the painting in the Louvre Museum, the so-called Isleworth Mona Lisa has remained an art world mystery since she was found in 1912. Did Leonardo da Vinci paint the legendary portrait twice? Or is the Isleworth the work of a talented forger? Secrets of the Dead: The Mona Lisa Mystery sets out to unravel the clues. In 1912, art dealer Hugh Blaker claimed that while traveling through England he purchased the Isleworth Mona Lisa — which seems to be a younger version of the same woman in the now-famous Louvre portrait. In the century since its discovery, the Isleworth painting has changed hands several times, and was most recently procured in 2008 by a group of international investors who have kept their identities, as well as the price they paid for the painting, closely-guarded secrets. Now, to determine whether the two portraits were both painted by the master himself, or if one is simply a very well-done forgery, an elite group of art historians, research physicists, restoration experts and forensic imaging specialists have gained exclusive access to analyze the Isleworth Mona Lisa first-hand. Applying high-precision scientific techniques, they endeavor to determine if the pigments in the paintings are consistent with mixtures used during da Vinci’s day, verify the painting’s date, and its creator. Accounts in several historical sources have suggested that da Vinci may have painted Mona Lisa twice. Clearly, the women in the paintings are the same person., However, descriptions seem to point up differences between the two paintings as well, including an unfinished background and columns in the Isleworth version and missing eyebrows and eyelashes in the Louvre painting. 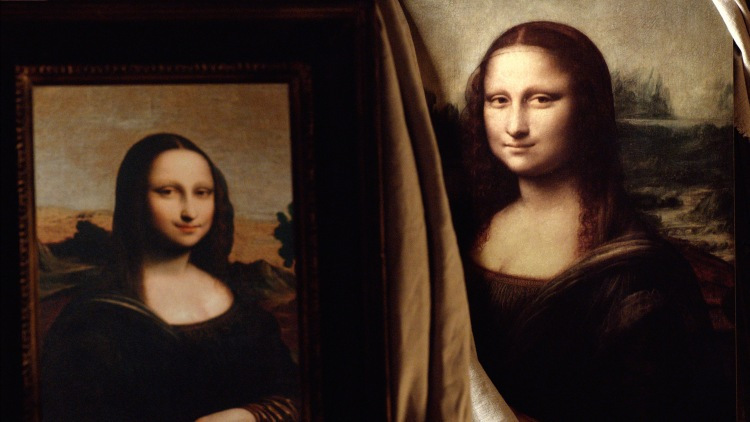 Can the latest scientific techniques and clues unearthed in archives finally solve the mystery of the two Mona Lisas?